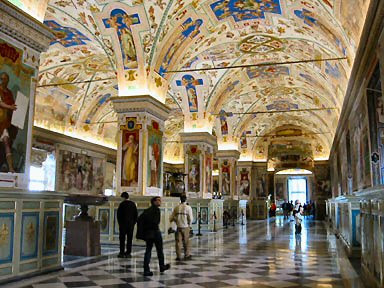 X marks the spot: come join us on a Treasure Hunt inside the Vatican Museums! The Treasure Hunt Game consists of two rounds. In the First Round, the teams walk through half the museum, identifying objects or images which could be used to create an imaginary civilization. For the Second Round, the teams walk through the second half of the museum, identifying objects or images which could be used to create a fantastic party. At the end of each round, the teams gather, and each team reports what they have found. After much laughter, they vote on the best civilization or party. 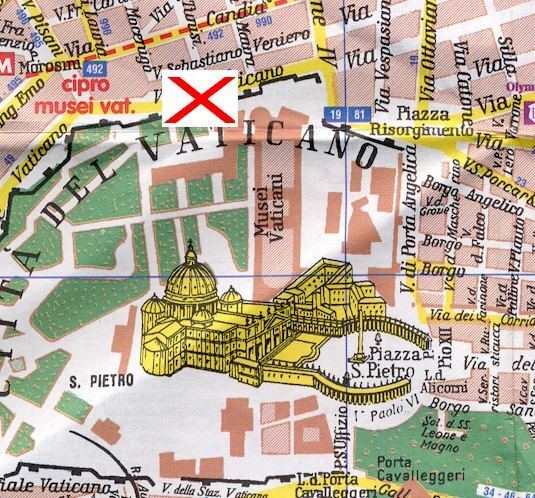 Line A, Stations: Ottaviano-S. Pietro-Musei Vaticani; Cipro (from both stations 10 minutes walk). 49, stop in front of the Museums Entrance. 32, 81, 982, Piazza del Risorgimento, end of the line (5 minutes walk). 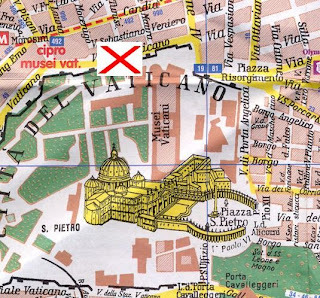 492, 990, Via Leone IV / Via degli Scipioni (5 minutes walk). 19, Piazza del Risorgimento (5 minutes walk). Maximum 20 people total, so please book now to avoid disappointment by e-mail to canadarome@gmail.com.